Mass Media Funk is a commentary on mass media stories about the scientific, the paranormal, the supernatural, and anything else that yanks at my eyebrows. February 24, 2001 Time.com asks when does freedom of religion equal freedom to abuse and kill children by neglect? At issue is the belief that prayer should be used instead of medicine. I think the blame for these deaths should be shared by all those who encourage intercessory prayer. First of all, such prayer is absurd, unless God is a weak creature who caters to sycophants. Secondly, encouraging such prayer encourages belief that God will intercede for you if you pray hard enough, a belief that can easily lead the feebleminded to think that since nothing happens unless God wills it, the only way to get what you want is to ask God to will the same....as if God were like some powerful king who grants wishes and issues pardons to those who ask. February 22, 2001 Unmasked: Exposing the Secrets of Deception, hosted by Judd Nelson on The Learning Channel, was a refreshing, skeptical look at paranormal claims, psychics, psychic surgeons and crop circles....Though I am sure true believers will respond by saying that just because you can show that many, if not most, seemingly paranormal events are tricks or hoaxes doesn't mean they all are! February 20, 2001. 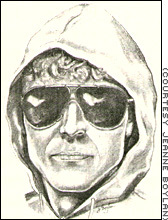 Remember the drawing of the Unabomber the FBI circulated? The one of the man in the sunglasses and hooded sweatshirt? The one where the guy looked more like Rick Moranis or Nicholas Turturro than Ted Kaczynski? The drawing was about as accurate as the FBI profile on the Unabomber. The artist was Jeanne Boylan. Helen O'Neill, AP National Writer, claims Boylan is part-psychic, although why O'Neill thinks Boylan is psychic isn't clear from her article on the artist who is loved by the FBI. * Many seem to think she played a major role in catching Kaczynski. (Boylan's book, Portraits of Guilt, is available from Amazon for a few cents.) 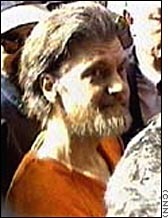 The rest of us have been led to believe it was his brother's recognition that the ponderous prose of the Unabomber's "manifesto" belonged to the same guy who used to write his family letters. February 20, 2001. The New York Times online has an article ("What's in an Inkblot? Some Say, Not Much" by Erica Goode) about the latest inkblot wars. Two psychology journals have published opposing articles on the validity and utility of the Rorschach inkblot test. Dr. Scott O. Lilienfeld, associate professor of psychology at Emory University, Dr. James M. Wood of the University of Texas at El Paso and Dr. Howard Garb of the University of Pittsburgh have an article in the current issue of Psychological Science in the Public Interest, a publication of the American Psychological Society. They argue that the Rorschach, the Thematic Apperception Test (T.A.T.) and the Draw-a-Person test are not valid for most uses. They advise psychologists to avoid using these tests for such things as diagnosing mental illness or establishing suitability of a parent in child custody cases. 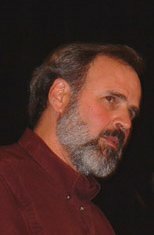 The journal American Psychologist (also a publication of the American Psychological Association), on the other hand, will publish an article by Dr. Gregory J. Meyer, an associate professor of psychology at the University of Alaska at Anchorage, who believes that admonishing psychologists not to use the tests was "not in the spirit of advancing our science." Meyer thinks that the APA's decision to run the anti-Rorschach article was like asking "someone who believes in creationism to review evolutionary theory and make recommendations about it." February 19, 2001. 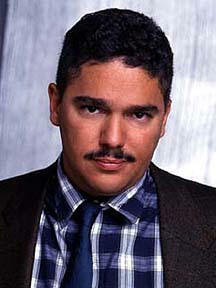 According to CNN.com, NASA has issued a response to Fox's promo of the faked moon landing hoax. Phil Plaitt's response at BadAstronomy.com is pretty good, too. So is Jim Scotti's page and so is the work of the LunarAnomalies.com people. February 18, 2001. Anyone who collects examples of proof that the system isn't working needs to put this one from SFGate on the top of the file. It's about a con man who stole a doctor's identity, was caught in 1979 after he failed to diagnose diabetes in a man who died two days after being sent home by the fake doctor. The fraud was sent to prison, was released, and repeated the scam not once, not twice, not three more times, but four more times. All in California, where the state Medical Board is still looking into matter. February 17, 2001. The New York Times online has an article about James Randi's skeptical adventures. This is a rarity: a positive article about a skeptic. February 14, 2001. Gallup polls claims that 40% of adult Americans favor teaching creationism instead of evolution in our public schools. Only 28% think that evolution should be required study for high school students. And 47% agree that "God created human beings pretty much in their present form at one time within the last 10,000 years or so." Only 9% identified themselves as believers in evolution and disbelievers that God guided the process. The polls were random telephone surveys of 1,000 adults and had a sampling error of + or -3% at the 95% confidence level. Gallup has conducted several similar polls since 1982. The results have been nearly identical in each poll. The National Science Teachers Association claims that 86% of high school biology teachers are certified in biology. But that does not mean that they are degreed in biology. A recent Fordham Foundation report claims that one-third of our biology teachers for grades 7-12 neither majored nor minored in biology. Another study found that 40% of our high school biology teachers don't have a degree in biology. The NSTA also claims that over 93% of high school seniors earn credits in biology. But a significant number of those students are being taught by people with no formal training in biology. About 10% of our high school students drop out before senior year, according to the U.S. Department of Education. It seems obvious that this country suffers from a failure to educate its citizens in the biological sciences. 1. Five years experience as a healer (meaning that close to half of their professional time has been spent providing energy healing, spiritual healing, prayer, or shamanic healing to individuals who are not family or close personal friends). 2. At least 10% of their healing work is done at a distance (not in person). 3. They have worked with people with AIDS or cancer in the past. According to Martin Gardner (Skeptical Inquirer, March/April 2001), the National Institutes of Health has granted Targ $243,228, the first installment on what is likely to "amount to more than 2 million dollars of federal funds over the next few years." Targ is the daughter of parapsychologist Russell Targ. One problem I have with E. Targ's study of the effectiveness of prayer on healing is that it seems to be self-refuting. That is, if God were to answer prayers and heal some patients but not others, depending upon which patients had prayers said for them, then we could never know whether anything occurred due to natural causes or due to divine intervention. No causal study could rule out the possibility that its results were not due directly to God interfering with the course of nature. In short, it would be pointless to do causal studies, and hence, pointless to study whether prayer is effective in healing. There are other problems, as well. Those who are not healed may not have died due to natural causes; it is always possible that some malevolent but powerful being interfered with natural processes and caused the deaths. Once you introduce the possibility of supernatural forces being the cause of events, there is no justification for assuming that only God can be that cause or that God only interferes when prayers are involved. Of course, one might argue that God is an all-powerful being and that lesser, malevolent, beings are powerless to contradict His Will. However, it seems obvious that an all-powerful being would have no will and would reveal his infinite power in ways that necessarily and inevitably express infinity. Such a being would seem to logically preclude being affected by any finite being's requests or desires. Thus, it seems to me that there are both scientific and metaphysical reasons for not seriously investigating such a notion as the healing power of prayer. The idea is scientifically preposterous and metaphysically demeaning. It makes a mockery of the notion of scientific tests of causality and it belittles the Omnipotent Infinite God, if such exists.